WordPress website Migration Services – Are you in the search for the best WordPress website migration services in India? 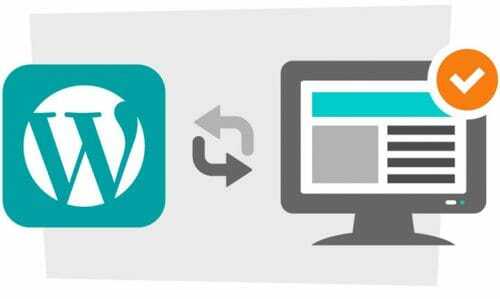 Do you want to shift your host of the WordPress website to another one? If the answer to these questions is yes then there could not be a better place than this. We tend to provide the best results in less time and in fewer investments. You can feel free to contact us anytime on 7696228822 or mail your requirements on info@webhopers.com. There could be many reasons on why you would want to migrate your WordPress website to another host. Shifting from one host to another host can be daunting and really difficult but it can be made easier with our services. We provide impeccable services that could give you satisfactory results. Why do you need to migrate your WordPress website? If your WordPress website is creating troubles like slow speed and frequent other issues then it is the right time to migrate your website to another host. WordPress migration becomes a necessity when your hosting company is not providing you the results they have promised. 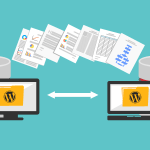 The biggest drawbacks of transferring WordPress website to another host is the loss of data, backup and many other things. But if you will choose the best services or company then you will not have to worry about any of these things at all. There are several things that you might need to provide the company for the perfect migration of the WordPress website. And with the successful migration, we mean without any loss of the data and other important information. If you are not aware of the then here we will discuss the things that you will have to give to the service providers or company. Scroll down to check them out. 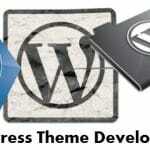 We will also install WordPress website on the new host if you haven’t and that too without any cost. WordPress site must be your own domain. Your login details at your current or recent server. The login details of the new host. Your host and FTP login details. 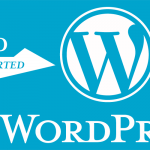 WordPress is one of the most effective, reputed and used to blogging platforms in existence. It offers a variety of unique features that makes it an easy and reliable choice for anyone. But sometimes the host does not work the way they should want to. Therefore, the websites start creating troubles for you and the services being provided to the customers. You can face the loss because of this, therefore, it is important to migrate. There are several service providers that help in migrating your website. The demand is constantly increasing and is expected to increase on a much wider scale in the coming years. We are known to provide the best migration services for WordPress websites. This type of migration is pretty tough and involves a lot of steps. If you not aware of them then we have brought you some of the best steps that will easily migrate your website to another host. Choose your new WordPress host. Set up the duplicator for the easy migration. Import your website to the new host. Change the host files to prevent the downtime. Start the duplicator migration process. The last step is to update the domain. What makes you choose WebHopers as the best service providers for the WordPress migration? There are so many companies that provide the same services but if you want some quality services then we could prove to be the best for you. We have a staff of experts and professionals that put in the best effort to serve you good so that you can avail the best benefits. Also, we have affordable rates so that anyone can update their website created from WordPress. So, go ahead and choose us for the best WordPress migration services.